Introducing our new line of decks. The 7-Day Deck System is designed with just a few customization options for a streamlined online ordering experience. Currently available in two sizes, with each size offering two height (or elevation) ranges and three finishes. Looking for a New 7-Day Deck or a New Custom Deck This Summer? Tell your friends! When Pre-Orders Reach 20 Customers – Everyone Gets 10% Off! Don’t Wait! This offer is only available through March! ✔ Fastest Turnaround for delivery ! You want a wood deck? We have both Pressure treated and Cedar options available. Don’t want to worry about maintenance? No problem! 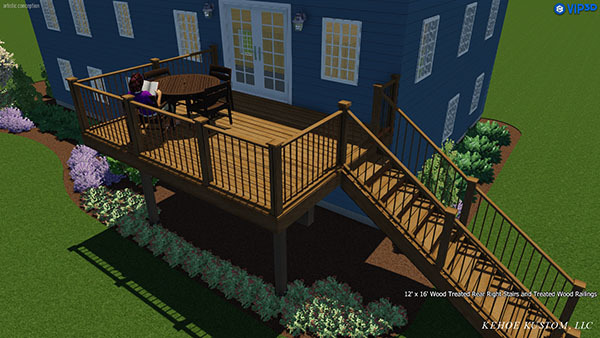 Our Azek deck packages offer the best performance in the industry. 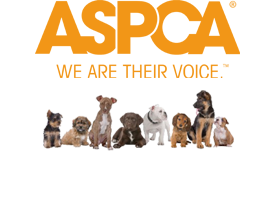 Built with the proper product knowledge, having attended their facility for training. These deck will likely outlast you. 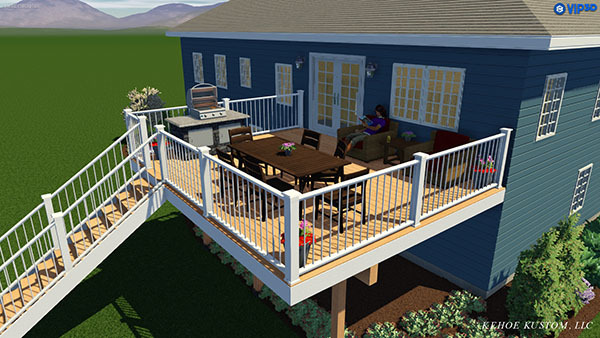 Enjoy your deck for a lifetime worry free with the full Azek warranty and paired with our 5 year Labor warranty. Just start planning your parties! Azek samples will be presented at the on site confirmation meeting. We want to ensure you love the color! This step will allow you to make a change if needed. A custom Deck can take 6-8 weeks from start to finish. The new 7-Day Decks streamline the process, saving time! 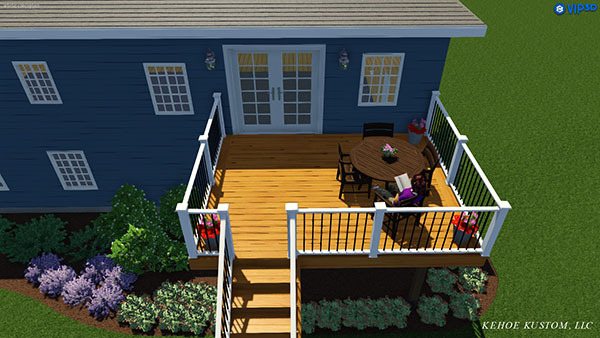 Skip the headache of picking out all the tiny details and get back to enjoying your deck space with family and friends. 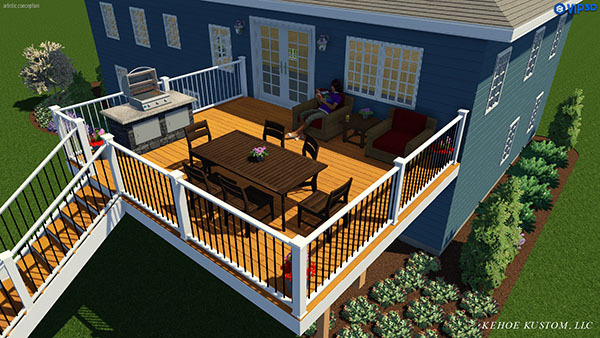 The 7-Day Deck system was developed to get you enjoying your deck faster and save you money! That’s right, we all know time = money. By saving time we save you $! Feeling bogged down with options? Then the 7-Day Deck is designed for you! 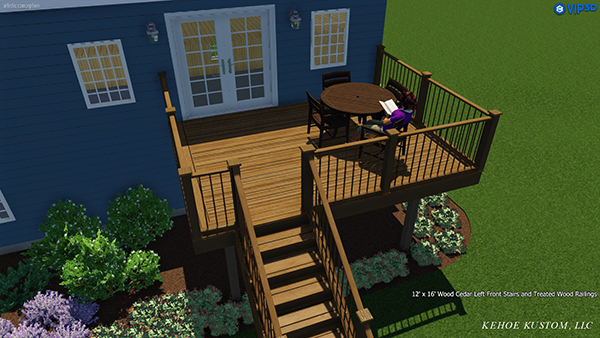 Choose from just a few options, and in a month you’ll have a new beautiful deck. We will take care of the rest so you don’t have to. Remember, Scheduling is First Come First Serve - For the fastest turnaround, Order your deck soon! 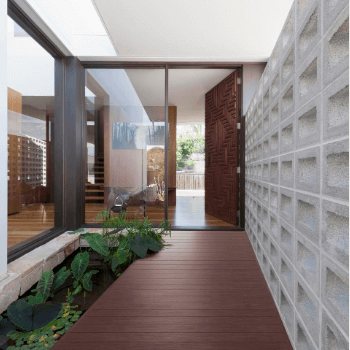 * Deck images are computer renderings and will differ slightly from the collection colors. 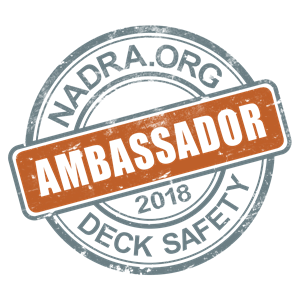 Kehoe Kustom will be conducting an on site verification for each deck order that will include architectural plans with the modifications selected in this form. 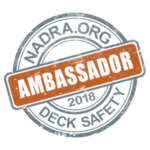 Azek decking samples will be presented at the on site confirmation meeting after your order is placed. We want to ensure you love the color! This step will allow you to make a change if needed. A 20% deposit is required to secure your spot on our calendar and to start the process for your new Set Deck. At site confirmation a contract with all details, including schedule for remaining payments will be provided.